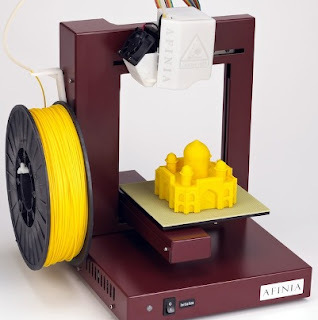 This 3D printer is FCC approved and comes with local, US support. 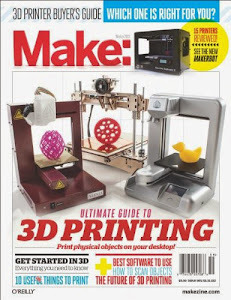 Includes easy-to-use software, handling tools, and starter spool of 1.5 lbs ABS plastic filament. 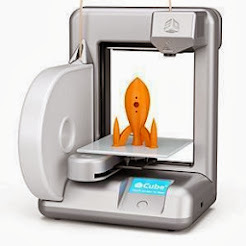 Perfect for rapid prototyping! No mucking about, out of the box the H-Series printer is easy to setup (about 10 minutes), and easy to install using the included software for Mac or PC. Simply use the included utility to calibrate the printhead height, and within minutes you are printing! The included software features an easy-to-use interface for laying out, orientating, duplicating, and scaling parts. It easily imports STL files, and the output can be customized in terms of the amount of support material and "raft" (base support) printed. Breakaway support material is simple to remove, and tools for aiding the breakaway are included. The Afinia H-Series can produce a part or model that is 5 inches cubed (i.e. 125 cubic inches) in volume. The output is accurate to within .2mm (8 thousandths of an inch), and has 30% of the strength of injection molded parts. Design files can be created using online software, professional software such as SolidWorks, or by downloading from the extensive online community for free!